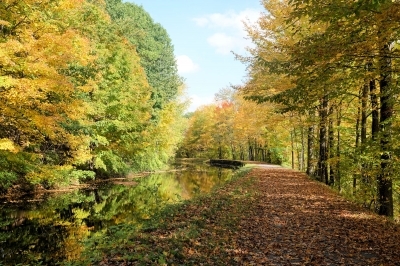 A nine-mile Trail between Glens Falls and Fort Edward along the historic Feeder Canal near the Hudson River and Old Champlain Canal. Location: Running along the Glens Falls Feeder Canal from the Town of Queensbury (and Glens Falls) to the Town of Kingsbury (and Hudson Falls), New York. Follows Canal from east side of Glens Falls to Ft. Edward. 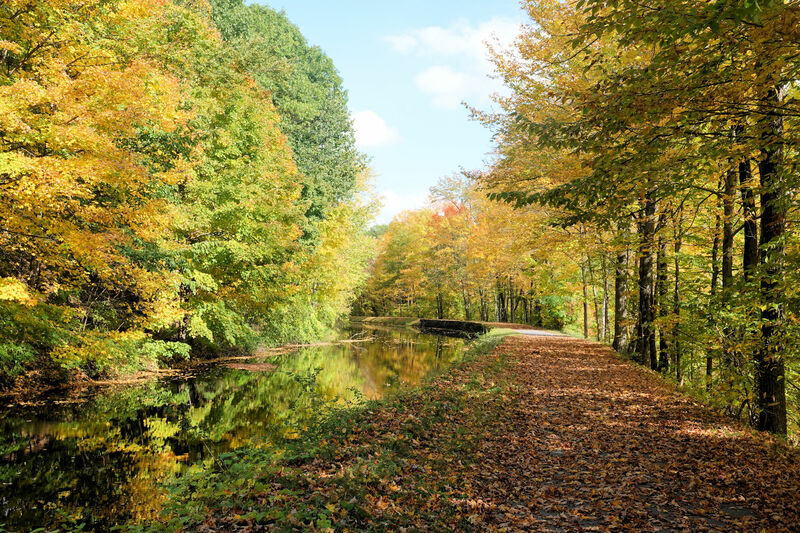 A nine-mile Trail between Glens Falls and Fort Edward along the historic Feeder Canal near the Hudson River and Old Champlain Canal. The Trail follows the towpath along the Feeder Canal, which is one of the last surviving sections of the original 1820s Canal System. The Feeder Canal was built in the late 1820s to help maintain the water level in the Champlain Canal, since the section between Fort Ann and Fort Edward was higher than the rest of the Canal. 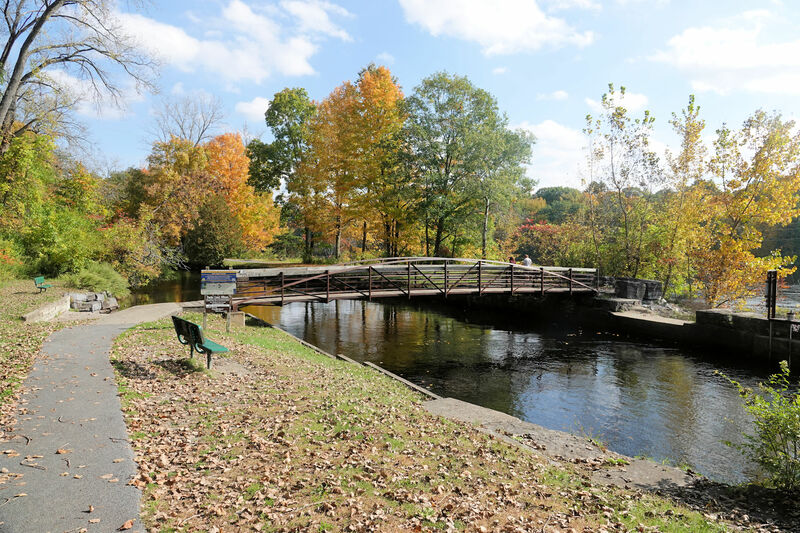 A link between the Feeder Canal Trail and the Warren County/Bikeway leading to Lake George is signed along connecting roadways in Glens Falls. 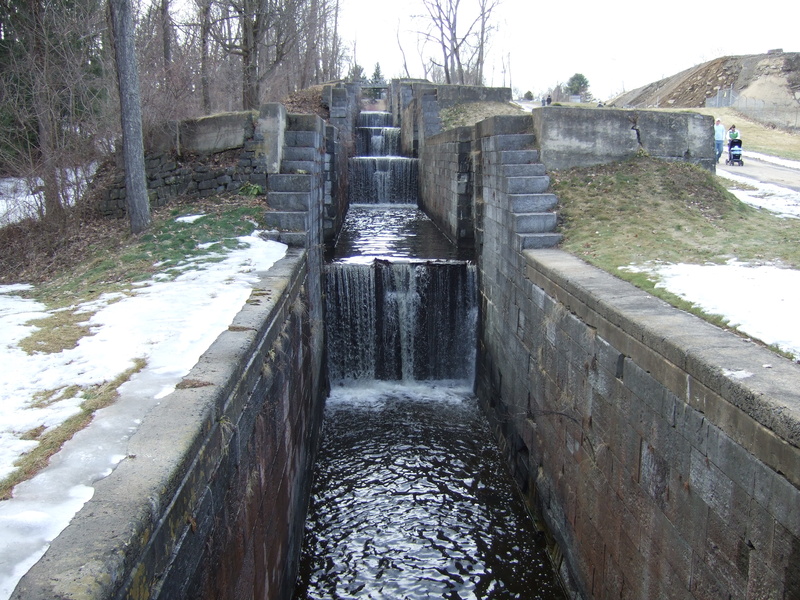 "The Flight" (today called "The Combine") is a series of five locks on the old Glens Falls Feeder Canal. Photo by Planmeister. Feeder Canal Towpath Trail - 10-10-2018. Photo by Jim Walla. Shame about the paper mill. It would be nice if there was signage suggesting where and how far ahead the trail picks up again. 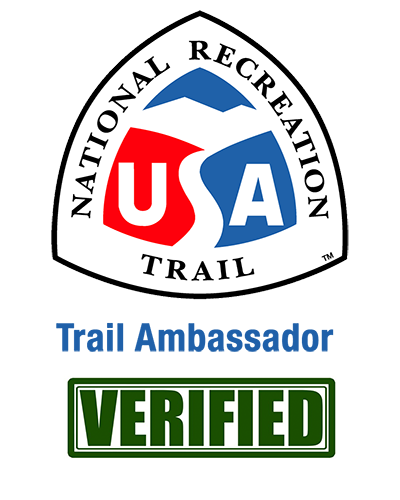 There is a map at the start of the trail and a couple on the Website.